Boeing is slowing the production rate of its 737 program to 42 aircraft a month as it works to get the grounded 737 MAX program back on track. The cut in production from 52 aircraft a month currently was due to start in mid-April, Boeing chief executive Dennis Muilenburg said on April 5 (US time). “We’re adjusting the 737 production system temporarily to accommodate the pause in MAX deliveries, allowing us to prioritise additional resources to focus on software certification and returning the MAX to flight,” Muilenburg said in a statement. 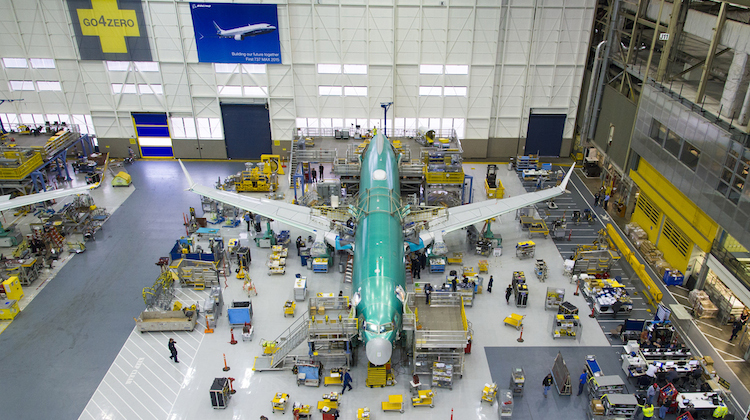 During the enforced grounding of the 737 MAX by regulators around the world following the crash of Ethiopian Airlines flight ET302 on March 10, Boeing has been parking built, yet-to-be-delivered aircraft around its facilities in Washington State and elsewhere. Boeing 737 MAX operators are also sending their aircraft to storage facilities, cancelling flights and adjusting heir schedules while the grounding remains in place. 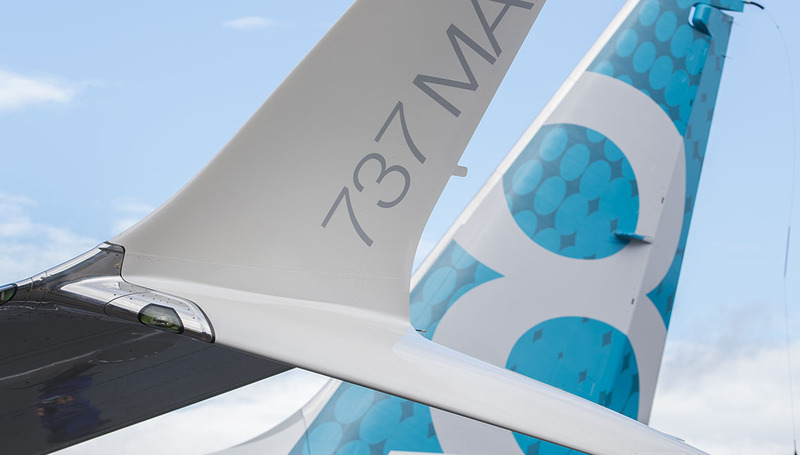 The airframer had 4,636 outstanding orders for 737 MAX aircraft at February 28 2019, according to the company’s website. There were also 87 outstanding orders for non-MAX 737s. Boeing has said previously it had been working on a software update for the MCAS since the Lion Air incident and expected to submit it to the United States Federal Aviation Administration (FAA) for review in the coming weeks. The company has also acknowledged that the MCAS was activated in response to erroneous angle of attack information in both the Ethiopian Airlines and Lion Air tragedies. Muilenburg said Boeing would establish a committee to review its policies and processes for the design and development its aircraft. 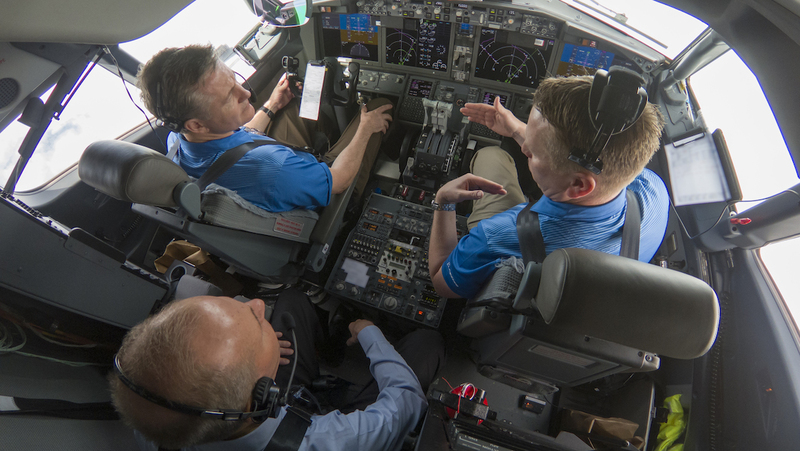 “The committee will confirm the effectiveness of our policies and processes for assuring the highest level of safety on the 737-MAX program, as well as our other airplane programs, and recommend improvements to our policies and procedures,” Muilenburg said. The committee comprised four Boeing directors, with former US joint chiefs of staff Adm Edmund Giambastiani Jr (Ret) its chair. The other three members were Amgen chief executive Robert Bradway, Duke Energy chief executive Lynn Good and former Allstate Corporation chief executive Edward Liddy. Muilenburg said the four were chosen “because of their collective and extensive experiences that include leadership roles in corporate, regulated industries and government entities where safety and the safety of lives is paramount”. “Safety is our responsibility, and we own it,” Muilenburg said. There are separate investigations into the 737 MAX’s certification. US Transportation Secretary Elaine Chao has asked the department’s inspector general to conduct a formal audit of the certification process for the MAX. The audit is an administrative action, separate from the criminal investigation by the US Department of Justice. The US Congress is also looking into the matter. Separately, the FAA said it would set up a Joint Authorities Technical Review (JATR) to conduct a review of the certification of the 737 MAX’s automated flight control system. The review will be chaired by former United States National Transportation Safety Board (NTSB) chair Chris Hart and include experts from the FAA, NASA and international aviation authorities. “The JATR team will evaluate aspects of the 737 MAX automated flight control system, including its design and pilots’ interaction with the system, to determine its compliance with all applicable regulations and to identify future enhancements that might be needed,” the FAA said in a statement on April 2. I hope Virgin Australia cancel their order for this poor rushed design. People will go out of their way to avoid flying in this aircraft. I doubt it. D-C-10s had a poor reputation for some time and airlines still bought them (and the rebadged MD-11). In fact there was a series of elevator problems that occurred on earlier 737 models that caused several fatal crashes, and yet people still fly them every day. If VA buy this essentially 50 y old aircraft, incomprehensibly flying on a supplementary type certificate appended to the original “Fat Albert” -100 certificate, Ill go back to flying QF, rubbish service though they provide. This thing is held up in the air by electrons, not aerodynamics. If its Boeing, I’m NOT going! !